In the digital era, documenting and sharing our scientific data is growing increasingly important as an integral part of the scientific process. Data Management not only makes our data resources available for others to build upon, but it also enables data syntheses and new analyses that hold the potential for significant scientific advancement. Effective data management begins during the planning stages of a project and continues throughout the research process from field and/or laboratory work, through analysis, and culminating with scientific literature and data publication. By planning ahead, and following some best practices along the way, the process of data management can be simple and relatively low-effort, enabling rapid contribution and publication of data in the appropriate data systems at the conclusion of a project. IEDA offers a variety of tools to support investigators along the full continuum of their data management efforts: Links to these tools and resources are available from the landing page for this resource. Publishing your data with a DOI ensures that it can be directly referenced in your paper and cited by others. Rapidly generate a Data Compliance Report (DCR) based on your NSF award number to demonstrate that your data are registered with IEDA systems and you are compliant with NSF Data Policies. Scientific Visualization transforms numerical data sets obtained through measurements or computations into graphical representations. Interactive visualization systems allow scientists, engineers, and biomedical researchers to explore and analyze a variety of phenomena in an intuitive and effective way. The course provides an introduction to the principles and techniques of Scientific Visualization. It covers methods corresponding to the visualization of the most common data types, as well as higher-dimensional, so-called multi-field problems. It combines a description of visualization algorithms with a presentation of their practical application. Basic notions of computer graphics and human visual perception are introduced early on for completeness. Simple but very instructive programming assignments offer a hands-on exposure to the most widely used visualization techniques. Note that the lectures, demonstration, and tutorial content require a Purdue Credentials,Hydroshare, or CILogon account. Access the CCSM Portal/ESG/ESGC Integration slide presentation at https://mygeohub.org/resources/50/download/ccsm.pdf. The CCSM/ESG/ESGC collaboration provides a semantically enabled environment that includes modeling, simulated and observed data, visualization, and analysis. This slide set discusses the big, generic problem facing geoscientists today that stems from lack of interoperability across a huge number of heterogeneous resources, and how to solve it. Practical solutions to tame the inherent heterogeneity involve the collection of standardized, "deep-description" metadata for resources that are then wrapped with standardized APIs that provide callers wtih access to both the data and the metadata. Learn how to complete a data submission template for the EarthChem Library (www.earthchem.org/library). You can access existing templates at www.earthchem.org/data/templates. If you do not see a template appropriate for your data type, please contact EarthChem at info@earthchem.org. A brief tutorial that shows how to upload, preview, and publish from iData. To use the accompanying My Geo Hub tutorial exercises, go to https://mygeohub.org/resources/1217. Note that the number before each step is the time on the YouTube video where it shows how each step is done. Also, note that the video does not contain audio content. Learn general guidelines for data submission to the EarthChem Library (www.earthchem.org/library), including the data types and formats accepted and additional best practices for submission. The System for Earth Sample Registration (SESAR) operates a registry that distributes the International Geo Sample Number IGSN. SESAR catalogs and preserves sample metadata profiles, and provides access to the sample catalog via the Global Sample Search. MySESAR provides a private working space in the System for Earth Sample Registration. This tutorial will introduce you to how to manage samples in MySESAR, including how to search the sample catalog, how to view and edit samples, how to print labels, how to group samples and how to transfer ownership of samples. For details relating to sample registration, please see tutorials for individual sample and batch sample registration here: http://www.geosamples.org/help/registration. obtain IGSNs for your samples by registering them with SESAR. register samples one at a time by entering metadata into a web form. register multiple samples by uploading metadata in a SESAR spreadsheet form. generate customized SESAR spreadsheet forms. view lists of samples that you registered. upload images and other documents such as field notes, maps, or links to publications to a sample profile. restrict access to metadata profiles of your samples. transfer ownership of a sample to another SESAR user. A step-by-step tutorial for GeoBuilder. The GeoBuilder tool provides a wizard type interface that guides users through several steps for loading, selecting, configuring and analyzing geo-referenced tabular data. As a result, the data is presented on an Open Street Map with customized annotation, station/site popup, and dynamic filtering and plotting. The tool can be used in two ways: first, an end user can use it to dynamically load and explore a csv file of interest. Second, a data owner can use it to build a customized view of the data he wants to share, save the configuration, and publish the data, configuration, and viewer as a new “tool” specifically for his data. With this, any scientist can easily develop an interactive web-enabled GIS interface to share their data within minutes, as compared to the past where they needed to hire a web developer and spent months to get the same done. Note that My Geo Hub registration is required to access the GeoBuilder tool. A brief tutorial that shows how to share a GeoBuilder session. ​The GeoBuilder tool provides a wizard type interface that guides users through several steps for loading, selecting, configuring and analyzing geo-referenced tabular data. To use the accompanying My Geo Hub tutorial exercises, go to https://mygeohub.org/resources/1219. Note that the number before each step is the time on the YouTube video where it shows how each step is done. Also, note that the video does not contain audio content. For more information about GeoBuilder, go to ​https://mygeohub.org/resources/geobuilder. The focus of this workshop is on working with genomics data and data management and analysis for genomics research. It covers data management and analysis for genomics research including best practices for the organization of bioinformatics projects and data, use of command line utilities, use of command line tools to analyze sequence quality and perform variant calling, and connecting to and using cloud computing. This workshop uses a tabular ecology dataset from the Portal Project Teaching Database and teaches data cleaning, management, analysis, and visualization. There are no pre-requisites, and the materials assume no prior knowledge about the tools. We use a single dataset throughout the workshop to model the data management and analysis workflow that a researcher would use. The Ecology workshop can be taught using R or Python as the base language. Portal Project Teaching Dataset: the Portal Project Teaching Database is a simplified version of the Portal Project Database designed for teaching. It provides a real-world example of life-history, population, and ecological data, with sufficient complexity to teach many aspects of data analysis and management, but with many complexities removed to allow students to focus on the core ideas and skills being taught. Digital projects – science gateways, data repositories, educational websites, and others—have a few things in common. They can deliver a great deal of value to users – by sharing widely sophisticated tools, large data sets, or access to computing capacity among those in the academic sector who really need them to advance their work. But they share something else in common, too: They are devilishly hard to run in a way that permits ongoing growth and expansion. In this webinar, Nancy Maron, a lead instructor in the Science Gateways Bootcamp, introduces participants to the key elements of sustainability planning – the building blocks for developing Science Gateways that have the best chance for ongoing growth. The webinar will introduce sustainability models and share some key tactics for identifying the models that are most likely to work for your gateway. We will touch upon funding models, the competitive environment, and audience assessment, to show how these need to be considered in tandem with any plan. The R programming language first appeared on the scene in the 1990's as an open source environment for statistical modeling and data analysis. Throughout the last decade, interest in the language has grown alongside researcher's abilities to collect and store larger amounts of data. Today, scientific and business decisions increasingly rely on the interpretation of this data. New libraries for processing data and communicating results are being debuted in ways that break down traditional language silos. Technologies like interactive documents, HTML based applications, and RESTful APIs have exposed capability gaps between R's interfaces for numerical analysis libraries and its built-in ability for graphical display. In this webinar, Derrick Kearney will survey several R libraries that are helping people bridge the gap between their R-based analysis and the numerous ways people are representing results today, all of which can be published on your science gateway, thus extending your research impact to others in a reproducible way. The growing size and complexity of high-value scientific datasets are pushing the boundaries of traditional models of data access and discovery. Many large datasets are only accessible through the systems on which they were created or require specialized software or computational resources for re-use. In response to this growing need, the National Data Service (NDS) consortium is developing the Labs Workbench platform, a scalable, web-based system intended to support turn-key deployment of encapsulated data management and analysis tools to support exploratory analysis and development on cloud resources that are physically "near" the data and associated high-performance computing (HPC) systems. The Labs Workbench may complement existing science gateways by enabling exploratory analysis of data and the ability for users to deploy and share their own tools. The Labs Workbench platform has also been used to support a variety training and workshop environments. This webinar includes a demonstration of the Labs Workbench platform and a discussion of several key use cases. A presentation of findings from the recent Workshop on Container Based Analysis Environments for Research Data Access and Computing further highlight compatibilities between science gateways and interactive analysis platforms such as Labs Workbench. Overview of research data management (RDM), who is responsible for RDM, the components of a researh data service, and policy and research activity roadmap development in compliance with Engineering and Physical Sciences Research Council (EPSRC) funding expectations in the UK. This course will provide learners with an introduction to research data management and sharing. After completing this course, learners will understand the diversity of data and their management needs across the research data lifecycle, be able to identify the components of good data management plans and be familiar with best practices for working with data including the organization, documentation, and storage and security of data. Learners will also understand the impetus and importance of archiving and sharing data as well as how to assess the trustworthiness of repositories. Note: The course is free to access. However, if you pay for the course, you will have access to all of the features and content you need to earn a Course Certificate from Coursera. If you complete the course successfully, your electronic Certificate will be added to your Coursera Accomplishments page - from there, you can print your Certificate or add it to your LinkedIn profile. Note that the Course Certificate does not represent official academic credit from the partner institution offering the course. Also, note that the course is offered on a regular basis. For information about the next enrollment, go to the provided URL. Data management planning is the starting point in the data life cycle. Creating a formal document that outlines what you will do with the data during and after the completion of research helps to ensure that the data is safe for current and future use. This 30-40 minute lesson describes the benefits of a data management plan (DMP), outlines the components of a DMP, details tools for creating a DMP, provides NSF DMP information, and demonstrates the use of an example DMP and includes a downloadable presentation (PPT or PDF) with supporting hands-on exercise and handout. When entering data, common goals include: creating data sets that are valid, have gone through an established process to ensure quality, are organized, and reusable. This lesson outlines best practices for creating data files. It will detail options for data entry and integration, and provide examples of processes used for data cleaning, organization and manipulation and includes a downloadable presentation (PPT or PDF) with supporting hands-on exercise, handout, and supporting data files. There are several important elements to digital preservation, including data protection, backup and archiving. In this lesson, these concepts are introduced and best practices are highlighted with case study examples of how things can go wrong. Exploring the logistical, technical and policy implications of data preservation, participants will be able to identify their preservation needs and be ready to implement good data preservation practices by the end of the module. This 30-40 minute lesson includes a downloadable presentation (PPT or PDF) with supporting hands-on exercise and handout. What is metadata? Metadata is data (or documentation) that describes and provides context for data and it is everywhere around us. Metadata allows us to understand the details of a dataset, including: where it was collected, how it was collected, what gaps in the data mean, what the units of measurement are, who collected the data, how it should be attributed etc. By creating and providing good descriptive metadata for our own data, we enable others to efficiently discover and use the data products from our research. This lesson explores the importance of metadata to data authors, users of the data and organizations, and highlights the utility of metadata. It provides an overview of the different metadata standards that exist, and the core elements that are consistent across them; guiding users in selecting a metadata standard to work with and introduces the best practices needed for writing a high quality metadata record. This 30-40 minute lesson includes a downloadable presentation (PPT or PDF) with supporting hands-on exercise, handout, and supporting data files. Data citation is a key practice that supports the recognition of data creation as a primary research output rather than as a mere byproduct of research. Providing reliable access to research data should be a routine practice, similar to the practice of linking researchers to bibliographic references. After completing this lesson, participants should be able to define data citation and describe its benefits; to identify the roles of various actors in supporting data citation; to recognize common metadata elements and persistent data locators and describe the process for obtaining one, and to summarize best practices for supporting data citation. This 30-40 minute lesson includes a downloadable presentation (PPT or PDF) with supporting hands-on exercise and handout. Understanding the types, processes, and frameworks of workflows and analyses is helpful for researchers seeking to understand more about research, how it was created, and what it may be used for. This lesson uses a subset of data analysis types to introduce reproducibility, iterative analysis, documentation, provenance and different types of processes. Described in more detail are the benefits of documenting and establishing informal (conceptual) and formal (executable) workflows. This 30-40 minute lesson includes a downloadable presentation (PPT or PDF) with supporting hands-on exercise and handout. Conversations regarding research data often intersect with questions related to ethical, legal, and policy issues for managing research data. This lesson will define copyrights, licenses, and waivers, discuss ownership and intellectual property, and describe some reasons for data restriction. After completing this lesson, participants will be able to identify ethical, legal, and policy considerations that surround the use and management of research data. The 30-40 minute lesson includes a downloadable presentation (PPT or PDF) with supporting hands-on exercise and handout. Monthly webinars on discovery and access to NASA Earth science data sets, services and tools. Webinars are archived on YouTube from 2013 to the present. Presenters are experts in different domains within NASA's Earth science research areas and are usually affiliated with NASA data centers and / or data archives. Specific titles for the current year's webinars can be found from the main page, but can also be found from separate pages for each year. These webinars are available to assist those wishing to learn or teach how to obtain and view these data. Short video tutorials on topics related to available NASA EOSDIS data products, various types of data discovery, data access, and data tool demonstrations such as the Panoply tool for creating line plots. Videos accessible on YouTube from listing on main webinars and tutorials page. These tutorials are available to assist those wishing to learn or teach how to obtain and view these data. Transform and visualize data in R using the packages tidyr, dplyr and ggplot2: An EDI VTC Tutorial. The two tutorials, presented by Susanne Grossman-Clarke, demonstrate how to tidy data in R with the package “tidyr” and transform data using the package “dplyr”. The goal of those data transformations is to support data visualization with the package “ggplot2” for data analysis and scientific publications of which examples were shown. Introduction to code versioning and collaboration with Git and GitHub: An EDI VTC Tutorial. Understand basic Git concepts and terminology. Apply concepts as Git commands to track versioning of a developing file. Create a GitHub repository and push local content to it. Clone a GitHub repository to the local workspace to begin developing. Inspire you to incorporate Git and GitHub into your workflow. There are a number of exercises within the tutorial to help you apply the concepts learned. Follow up questions can be directed via email to: o Colin Smith (colin.smith@wisc.edu) AND Susanne Grossman-Clarke (grossmanclar@wisc.edu). 23 (research data) Things is self-directed learning for anybody who wants to know more about research data. Anyone can do 23 (research data) Things at any time. Do them all, do some, cherry-pick the Things you need or want to know about. Do them on your own, or get together a Group and share the learning. The program is intended to be flexible, adaptable and fun! Each of the 23 Things offers a variety of learning opportunities with activities at three levels of complexity: ‘Getting started’, ‘Learn more’ and ‘Challenge me’. All resources used in the program are online and free to use. Introduction to data documentation (metadata) for science datasets. Includes basic concepts about metadata and a few words about data accessibility. Video is about 23 minutes. A collection of tutorials, called "data recipes" that describe how to use Earth science data from NASA's National Snow and Ice Data Center (NSIDC) using easily available tools and commonly used formats for Earth science data. These tutorials are available to assist those wishing to learn or teach how to obtain and view these data. This video explains what data citation is and why it's important. It also discusses what digital object identifiers (DOIs) are and how they are used. An overview of the OntoSoft project, an intelligent system to assist scientists in making their software more discoverable and reusable. For more information on the OntoSoft project, go to ​http://imcr.ontosoft.org. The Environmental Data Initiative (EDI) data repository is a metadata-driven archive for environmental and ecological research data described by the Ecological Metadata Language (EML). This webinar will provide an overview of the PASTA software used by the repository and demonstrate the essentials of uploading a data package to the repository through the EDI Data Portal. 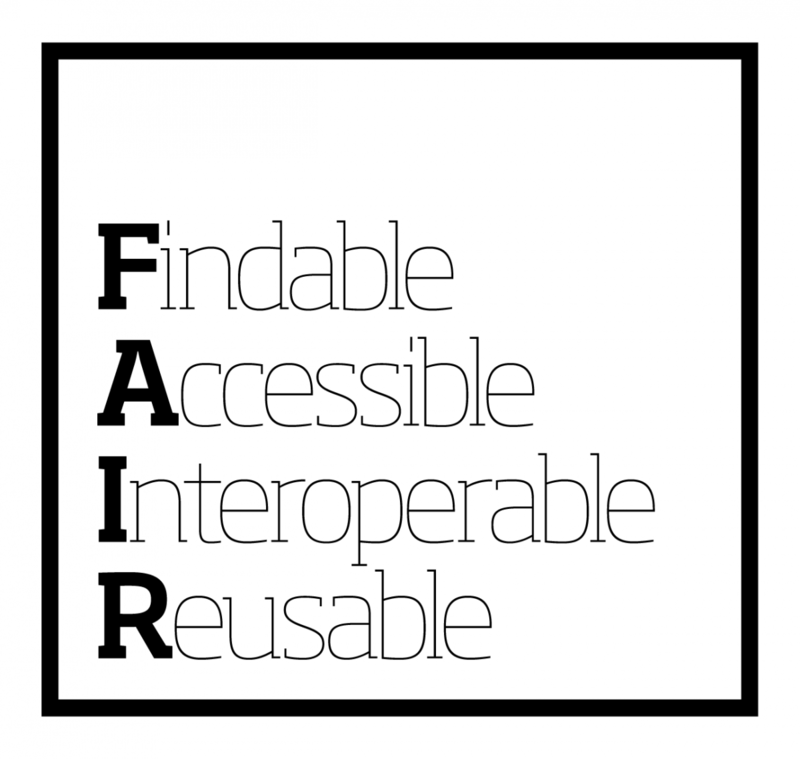 The FAIR Data Principles are a set of guiding principles in order to make data findable, accessible, interoperable and reusable (Wilkinson et al., 2016). Using this tool you will be able to assess the 'FAIRness' of a dataset and determine how to enhance its FAIRness (where applicable). This self-assessment tool has been designed predominantly for data librarians and IT staff but could be used by software engineers developing FAIR Data tools and services, and researchers provided they have assistance from research support staff. You will be asked questions related to the principles underpinning Findable, Accessible, Interoperable and Reusable. Once you have answered all the questions in each section you will be given a ‘green bar’ indicator based on your answers in that section, and when all sections are completed, an overall 'FAIRness' indicator is provided. Project Jupyter, evolved from the IPython environment, provides a platform for interactive computing that is widely used today in research, education, journalism, and industry. The core premise of the Jupyter architecture is to design tools around the experience of interactive computing, building an environment, protocol, file format and libraries optimized for the computational process when there is a human in the loop, in a live iteration with ideas and data assisted by the computer. The Jupyter Notebook, a system that allows users to compose rich documents that combine narrative text and mathematics together with live code and the output of computations in any format compatible with a web browser (plots, animations, audio, video, etc. ), provides a foundation for scientific collaboration. The next generation of the Jupyter web interface, JupyterLab, will combine in a single user interface not only the notebook but multiple other tools to access Jupyter services and remote computational resources and data. A flexible and responsive UI allows the user to mix Notebooks, terminals, text editors, graphical consoles and more, presenting in a single, unified environment the tools needed to work with a remote environment. Furthermore, the entire design is extensible and based on plugins that interoperate via open APIs, making it possible to design new plugins tailored to specific types of data or user needs. JupyterHub enables Jupyter Notebook and JupyterLab to be used by groups of users for research collaboration and education. We believe JupyterHub provides a foundation on which to build modern scientific gateways that support a wide range of user scenarios, from interactive data exploration in high-level languages like Python, Julia or R, to the education of researchers and students whose work relies on traditional HPC resources. The presenter discusses the benefits and applications of Jupyter Notebooks. Scroll to the bottom of the page to view the webinar. Presentation slides are also available on the same page. Seismic data quality assurance involves reviewing data in order to identify and resolve problems that limit the use of the data – a time-consuming task for large data volumes! Additionally, no two analysts review seismic data in quite the same way. Recognizing this, IRIS developed the MUSTANG automated seismic data quality metrics system to provide data quality measurements for all data archived at IRIS Data Services. Knowing how to leverage MUSTANG metrics can help users quickly discriminate between usable and problematic data and it is flexible enough for each user to adapt it to their own working style. This tutorial presents strategies for using MUSTANG metrics to optimize your own data quality review. Many of the examples in this tutorial illustrate approaches used by the IRIS Data Services Quality Assurance (QA) staff. The IRIS Data Management Center (DMC) archives and distributes data to support the seismological research community. The class described here introduces DMC and other seismologists to the R statistical programming language and its use with seismological data available from DMC web services. The capabilities of the seismicRoll, IRISSeismic and IRISMustangMetrics packages developed as part of the MUSTANG project will be demonstrated. Class materials are broken up into nine separate lessons that assume some experience coding but not necessarily any familiarity with R. Lessons are presented in sequential order and assume the student already has R and RStudio installed on their computer. Autodidacts new to R should take about 20-30 hrs to complete the course. The target audience for these materials consists of IRIS DMC employees or graduate students with a degree in the natural sciences and some experience using scientific software such as MATLAB or Python. Short video discussing the "Research Lifecycle at University of Central Florida," a useful diagram for understanding the typical flow of a research project. Good research data management is of great importance for high-quality research. Implementing professional research data management from the start helps to avoid problems in the data creation and curation phases.